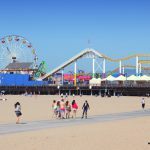 Beaches, Hollywood and Disneyland are just a few of the reasons why Los Angeles is such a popular family vacation destination. 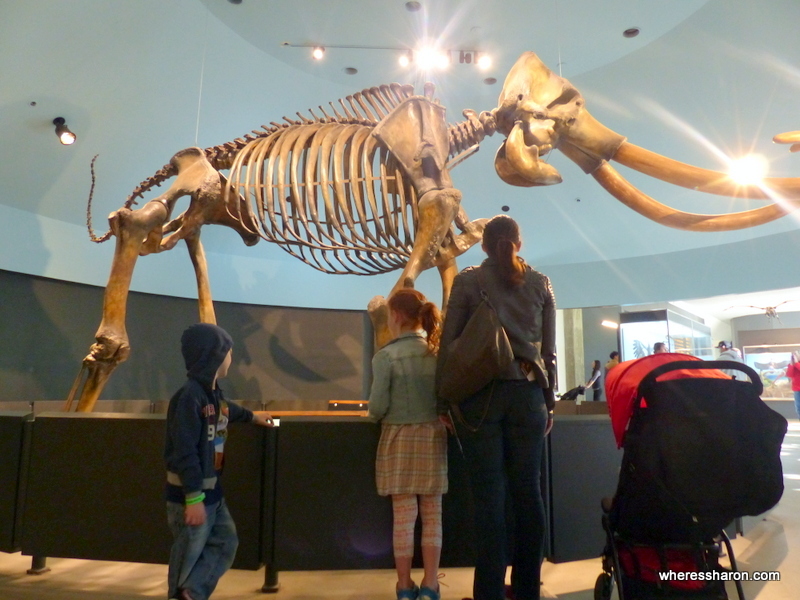 Museums, such as the California Science Centre with the Space Shuttle Endeavour, top the list for many families. Kids can learn about astronauts and marine life here. Admission is free. With 75 miles of shoreline, choosing a beach won’t be difficult. Dockweiler Beach is not only located underneath the flight path for LAX, but it is the only beach with fire pits. This 288-acre park allows you to watch a sunset while toasting marshmallows at a fire pit, while jets roar over your heads! People-watch at the Santa Monica pier and be entertained at Universal Studios Hollywood, Disneyland California and Six Flag Magic Mountain. Shopping opportunities are everywhere and family-friendly restaurants serving up healthy California cuisine will keep everyone happy. 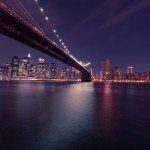 Below find out list of the best family hotels in Los Angeles to save you some time when you are researching your next trip! You can read more about things to do in Los Angeles with kids in our full guide to LA. 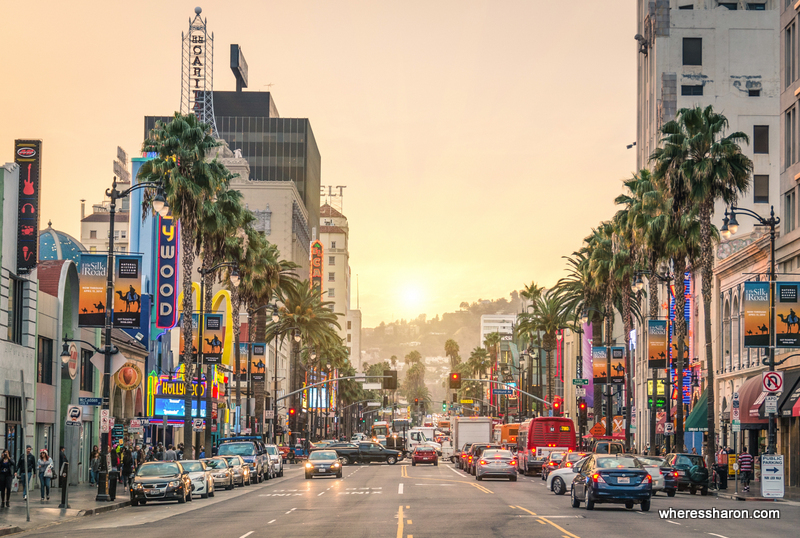 Los Angeles is a huge city with many different areas which are great to stay with kids. I suggest looking at a map and plotting the attractions you wish to visit then finding a hotel which is somewhat central. I have stayed in many areas in Los Angeles. 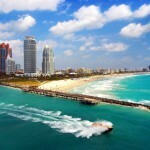 My most recommended are the beach areas – Santa Monica and Venice Beach – and West Hollywood. If you are planning to visit Knotts Berry Farm and Disneyland then staying in Anaheim for a few days is a great idea. It’s a long drive from central LA to Anaheim in traffic and we found the accommodation in Anaheim to be a better deal. Another option is Long Beach. We stayed there to be close to our Carnival cruise, but it is a nice area as well and closer to Anaheim than West Hollywood, Santa Monica and Venice Beach. It is far from many of the main LA attractions with kids though. Only 6 miles from Los Angeles International Airport, this boutique hotel is a great choice for accommodation in Los Angeles for families. An outdoor heated pool and hot tub and a beautiful interior courtyard allow for lounging and fun in the sun. Rent a bicycle and pedal the 1 mile to Venice Beach. Each suite and room includes free Wi-Fi and includes a refrigerator, microwave and a coffee maker. A flat-screen TV, a desk and 2 chairs are standard as is the in-roof coffee. 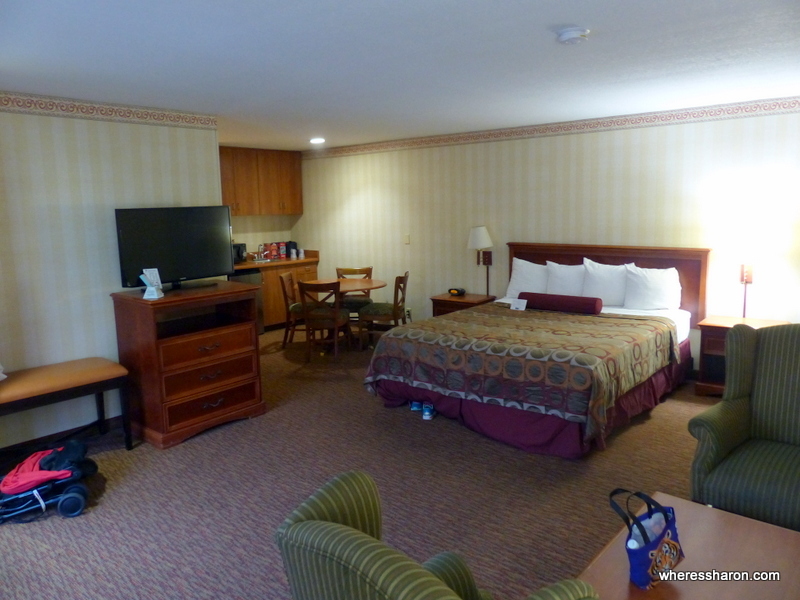 Rooms feature either 2 queen beds or a king bed and suites offer a Queen bed with a double sofa bed. One of the best features is a free, hot breakfast included in the room rate. Near Santa Monica State Beach Park and Venice Beach and 20 miles to Hollywood, the Inn at Marina Del Ray is definitely one of the best hotels for families in Los Angeles. 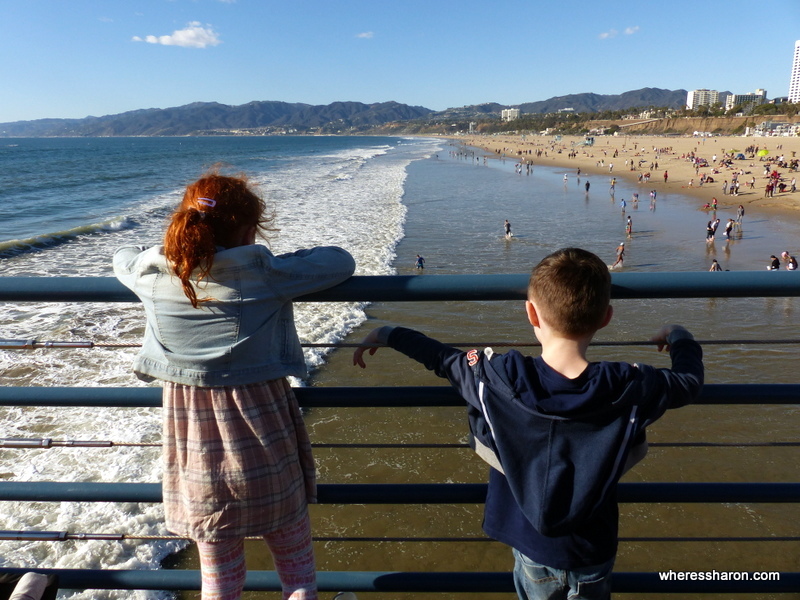 This awesome Venice Beach option is a great choice of Los Angeles accommodation for families. 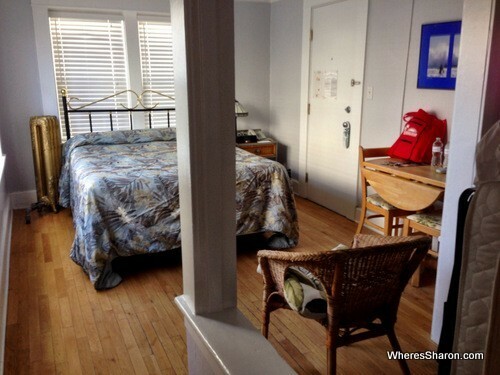 Located on the famous boarwalk along Venice Beach, this hotel is surprisingly quiet and well presented. There’s a range of room types. We enjoyed a spacious studio suite which had a small kitchen area for self catering. As a bonus, there’s beach gear that can be borrowed for free. We would not hesitate to stay at this choice of Los Angeles family hotels again. Best Parts… Located on the Venice boardwalk in a top location. Larger families will want to check out Oakwood Toluca Hills and their fully equipped, 2-bedroom apartments. Excellent value is offered here. Featuring two separate bedrooms, a kitchen with counter and bar stools and an adjacent area for dining, these apartments have lots of extras. A fireplace and balcony and free Wi-Fi are included. Studios and one-bedroom apartments are also available. The hotel offers a spa, an outdoor pool, a playground, a fitness centre and tennis courts, making it one of the best Los Angeles kid friendly hotels. An 8 minute drive takes you to the Hollywood Bowl and Hollywood Hall of Fame. Located 40 minutes by car from Los Angeles International Airport, Oakwood Toluca Hills is one of the best family friendly hotels in Los Angeles. With 144 rooms and suites, the Staybridge Suites Torrance Hotel is one of the best places to stay in Los Angeles with family. Located in the shopping district of Los Angeles, this hotel is a great choice families. Guests can enjoy easy access to many local attractions such as AdventurePlex, Redondo Beach Pier and Seaside Lagoon. This hotel offers facilities for disabled guests and includes free Wi-Fi in public areas, and parking. Each room and suite is tastefully furnished and the hotel’s recreational facilities include a hot tub, fitness centre and outdoor pool. The 2-bedroom apartments include 1 queen bed in each bedroom plus a sofa bed. A fully-equipped kitchen and 2 bathrooms provide lots of space for larger families. All the features of this modern hotel add up to create one of the best hotels for families in Los Angeles. Located just 3 miles away from Los Angeles International Airport, this new hotel offers free airport transportation. One of the best Los Angeles family resorts, it also offers a free daily hot breakfast and features an outdoor pool, free Wi-Fi and a 42-inch flat-screen TV with extended film channels. Each room includes a sofa bed, a king bed or 2 queens, a coffee machine and a refrigerator and each bathroom includes a hairdryer and free toiletries. The Guest Kitchen at El Segundo/LAX/Hyatt Place Los Angeles offers freshly prepared snacks and meals or if guests prefer, they can choose from sandwiches, salads, and bakery items from the Grab ‘N Go case. Both are available 24 hours a day. Guests of this family hotel in Los Angeles can access a 24-hour fitness centre. A business centre with fax and photocopying services are available if they are required, and free guest parking is available. The Promenade at Howard Hughes centre is just 6 miles away from this pet friendly hotel, making it an excellent choice for a best family hotel in Los Angeles. Holiday Inn Long Beach Downtown is one of our picks for one of the best family hotels in Los Angeles for families on a budget wishing to stay in the Long Beach area. 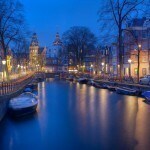 The hotel provides every room with coffee facilities and free internet access. Rooms can be booked with 2 double beds for families. There’s plenty of eating options nearby as well as small supermarkets. The rooms are stock standard hotel rooms and a good breakfast is included. One of the bonuses of this hotel is that it has a free shuttle bus which takes guests anywhere in a 3 mile radius of the hotel for free. They also offer packages for people taking cruises from Long Beach where parking is included for free. Guests can then use the free shuttle to get to and from the cruise terminal. Modern granite, concrete, and floor-to-ceiling windows combined with exposed ductwork, dark wood cabinets provide an updated, thoroughly modern atmosphere. A gourmet kitchen is featured in these high end apartments and the hotel is just 30 minutes from Los Angeles International Airport. The one and two-bedroom stylish apartments are spacious and of high quality. BBQ facilities and a sun terrace allow guests to soak up the California sun. University of California, Los Angeles is 20 minutes’ drive away from Hollywood Panorama Suites Apartment. Los Angeles International Airport is 30 minutes’ drive away. These 1-bedrooom apartments feature full kitchens and free Wi-Fi. Located 18 km from Los Angeles International Airport, and an 8 minutes’ walk from Hollywood Walk of Fame, this Los Angeles apartment makes an excellent choice when searching for Los Angeles resorts for families. The famous Sunset Strip is just 2.5 km away. Free parking is also included. 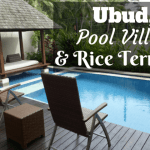 Boasting a hot tub and poolside loungers by the outdoor pool, families will enjoy soaking up the sun. Each self-catering apartment features garden views and a flat-screen TV. The fully-equipped kitchen includes a dishwasher, refrigerator and microwave. Budget-minded families of up to 4 should consider this apartment hotel when looking up where to stay in Los Angeles with kids. The Best Western Plus Raffles Inn and Suites is one of the best family hotels in LA to head when you want to stay near Disneyland. Actually located in Anaheim, this is a budget-friendly choice which delivers quality family accommodation a very short drive or longer walk to Disneyland California. There are a range of room types. We especially recommend one of the two bedroom room choices. We stayed in a two bedroom queen suite which consisted of one large room with a lounge area, small kitchen area, dining area and a king size bed. There was also a second room with a double bed. There was plenty of room for our family of 5 in this family resort in Los Angeles. Outside, there is a pool. Breakfast is provided which is both hot and cold. The hotel is happy to provide a late check out if available. The free wifi is good. 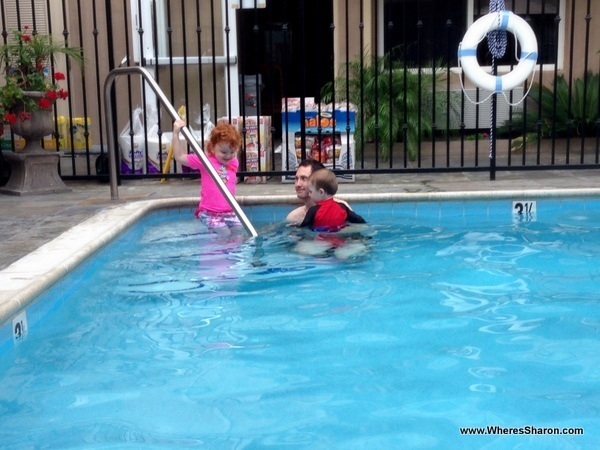 Best Host Inn is one of the best hotels in Los Angeles for families. A refrigerator, microwave and coffee machine are found in every room and suite. Max 6 in the suites and 4 in the rooms, and children under 18 stay free when using existing beds. A free breakfast, free Wi-Fi, free parking and an outdoor pool make this hotel a no-brainer for families of all kinds. Located a 5 minute walk from Knott’s Berry Farm, and a 4 minute walk from Soak City Water park, this family hotel offers a 24-hour reception where you can purchase Disneyland tickets. Free shuttle services to Disneyland, 8 miles away, and the Anaheim Convention Centre are available to guests. 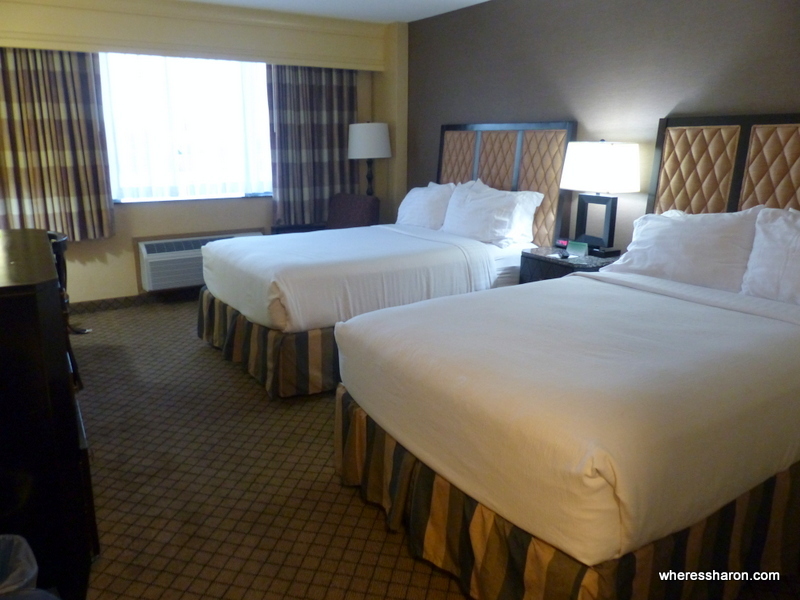 Comfort Inn Cockatoo – Very close to LAX, this is a budget friendly option for a short stopover. 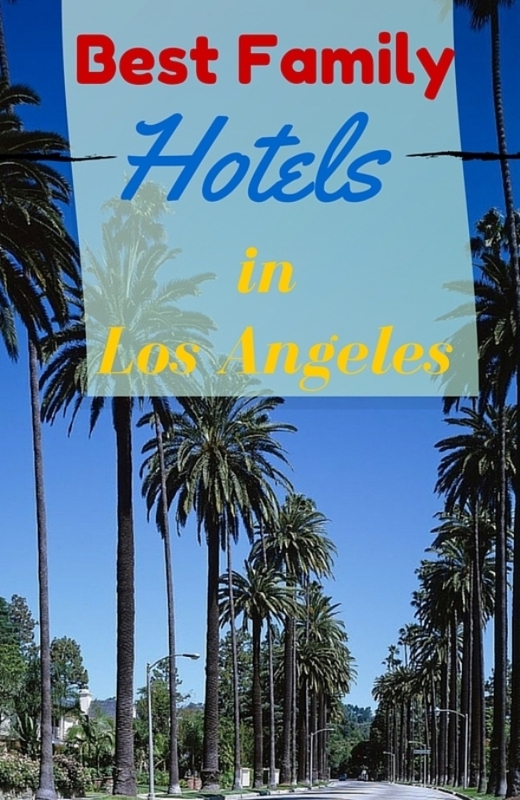 What is your favourite hotel in Los Angeles? Read more in our full guide to visiting LA with kids or read about nearly Catalina Island or San Diego. thanks for sharing this useful information with us, it will helps for new visitors to Los Angeles. California’s a beautiful place and I loved it so much when I visited I wanted to move there, however, I find working out accommodation with kids to be an absolute nightmare, so thank you for making it so simple. Babierge Los Angeles (think Baby+Concierge) rents high-end, high-quality baby equipment and gear for families visiting Los Angeles, and for grandparents and other resident families hosting visitors with small children. We deliver and set up everything- we even provide sheets, mattress covers, and upgraded organic linens! I think this is a high-end service in which some of your followers might be interested! Please visit http://www.babierge.com/losangeles for more information and easy booking! I am proud to offer this service to our robust visitor market, which, in turn, helps enhance the Los Angeles experience for travelers with children. Please let me know if you’d like more info or to meet. Thank you for your time – I look forward to being of service to Los Angeles! Thank you for this post. It will help family who are planning to go to Los Angeles.